Set your alarms and get ready for the Grand Opening of the brand new Whole Foods Market in Clearwater this Wednesday (Sept 24th) morning at 9am. They will be opening the store with a traditional bread breaking ceremony right at 9am. Be one of the first 500 guests and you’ll receive a free gift certificate ranging from $5 to $500. I don’t know about you, but I would LOVE to win a $500 gift certificate to Whole Foods!!! 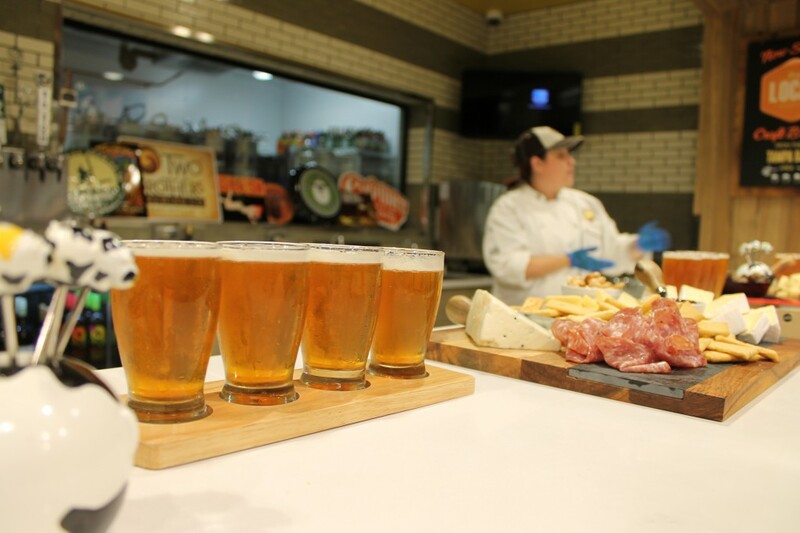 The social media and marketing team at Whole Foods invited a group of local bloggers for a tour and tasting event tonight. Our bellies were filled with some really amazing foods that you just can’t find at other local grocery stores. For me, there aren’t many different places to shop in North Pinellas besides the traditional grocery stores. There are a few specialty stores (some of which I truly LOVE…Kym, you know I love you) but not many places I can complete my entire shopping trip without having to bounce from store to store. 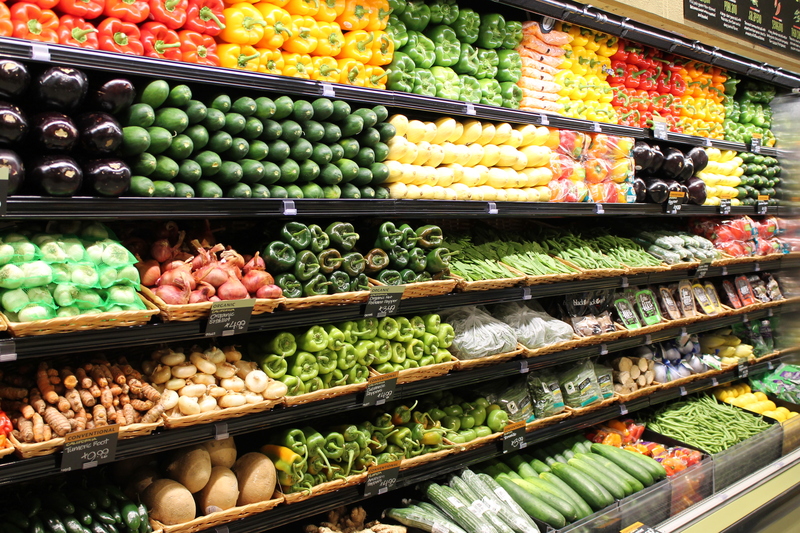 If you’re looking for a place to find local food, specialty foods, healthy foods, organic foods, and more…Whole Foods is your one stop shop! I think I fell in love with the prepared food and bakery section of the store! This is a busy mom’s dream shop! They have a hot food bar, local and international food bar, a huge rotisserie chicken and side dish bar, organic salad bar, and a traditional salad bar. 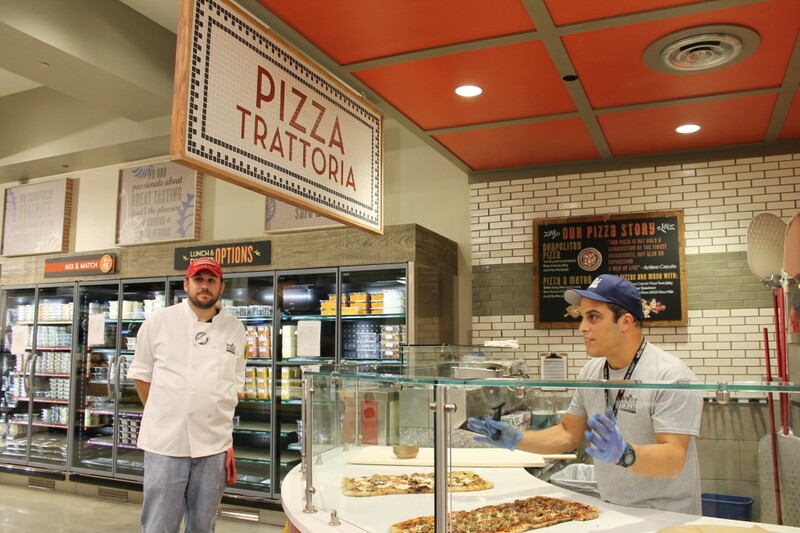 They also have the Pizza Trattoria where you can try the new pizza program! They’ve made some changes to their dough, sauce, and ingredients. The pizza by the meter didn’t disappoint my taste buds! 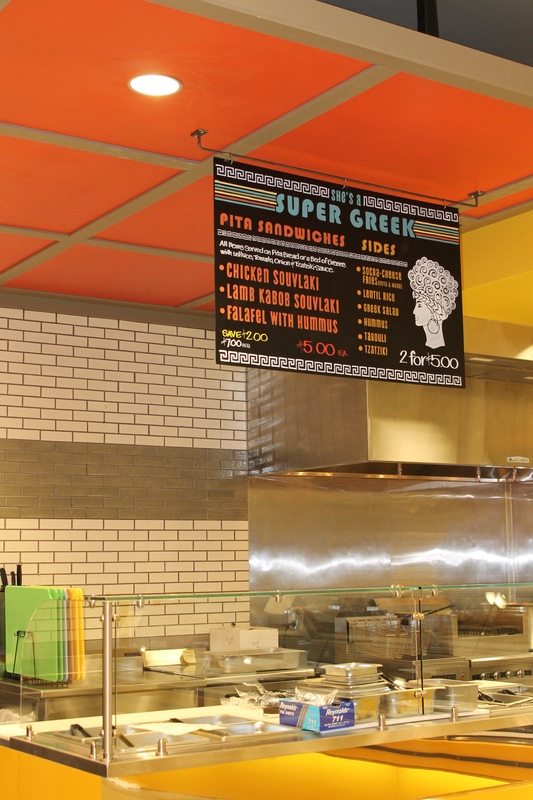 The Clearwater store is the first Whole Foods to have a “She’s a Super Greek!” area in the bakery. I’m not Greek (like our Tarpon Springs neighbors) but I’m excited to hear what they think of the Souvlaki, hummus, pitas, and greek salad. We taste tested the greek salad and I’m in love! …but then again, you could give me a bowl of feta and olives and I’d say the same thing. As we continued through the store, we found the Beer & Wine bar. 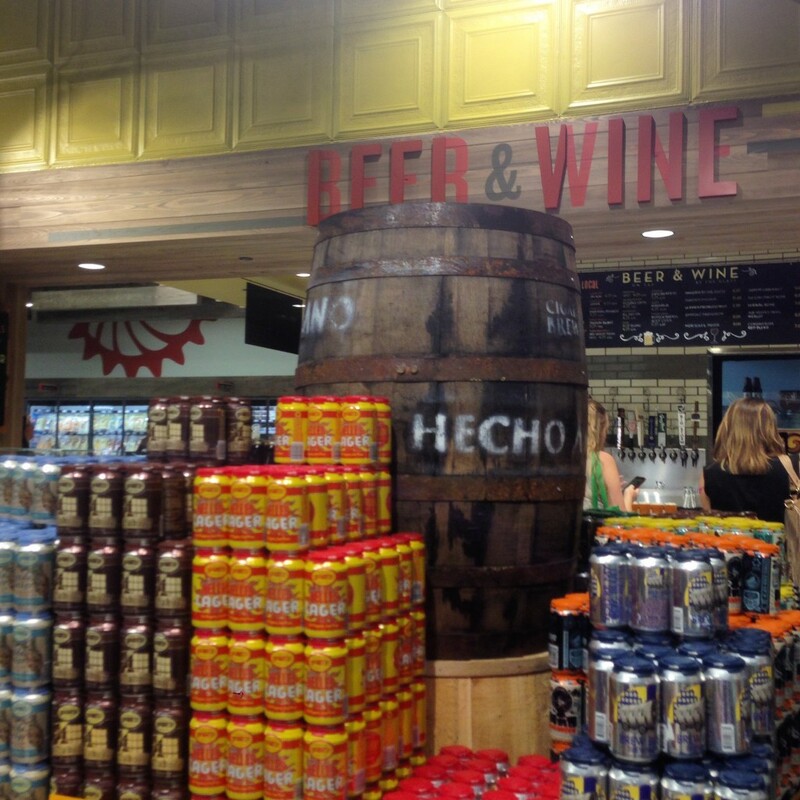 Oh, and they actually serve you beer and wine in the store! I wonder if they have a taxi service that will take me home after I get done “shopping.” Or maybe your husband would join you at the grocery store if you told him there were TVs at the bar for him to watch his game while you shop. Too bad they don’t have day care because this would be the ultimate tri-fecta!! 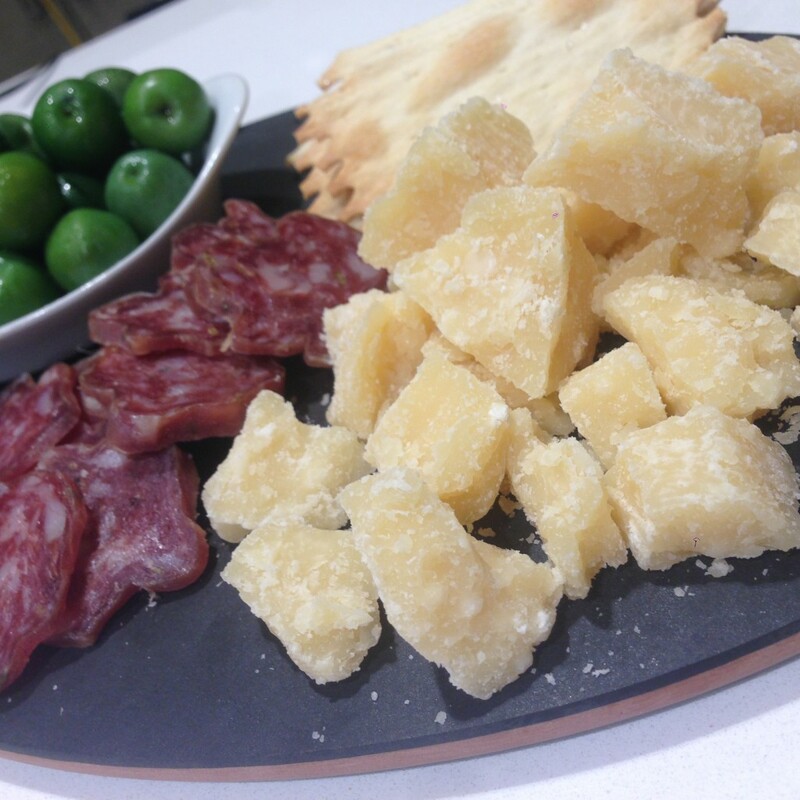 I couldn’t pass up the cheese, meat, and olive trays they prepared for us at the tasting. They even gave us a sample of parmesan to take home with our own Boska cheese slicer! Did you know that you’re suppose to store cheese in a special cheese paper (Formaticum) to let it breathe? 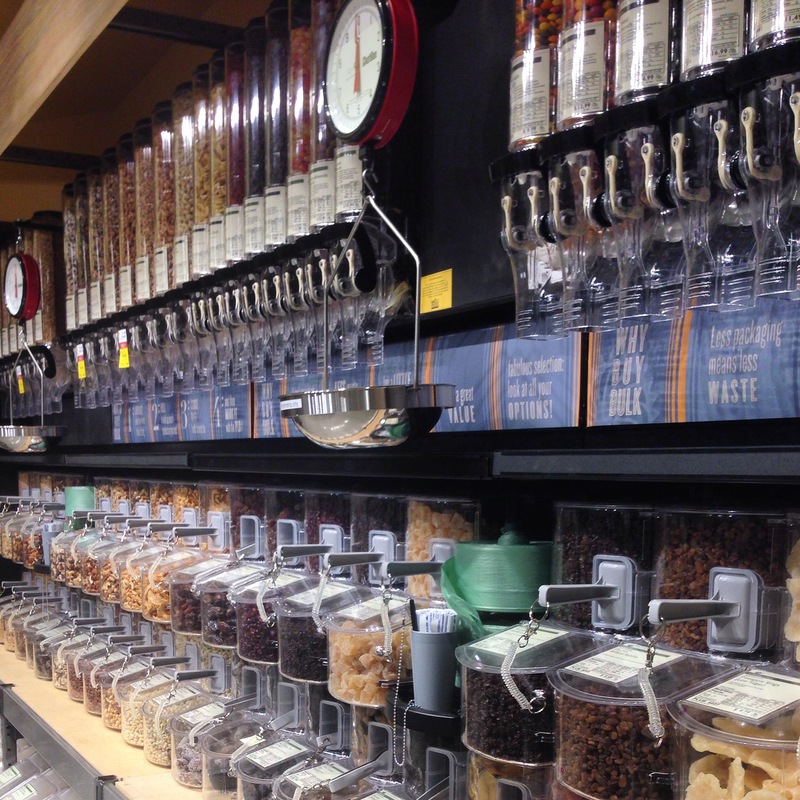 The staff at Whole Foods is so knowledgeable about all of the little details….I have a LOT to learn! Oh, and we also tasted a glass of local beer. I swear I’m not a huge drinker but the bar is just too cool! 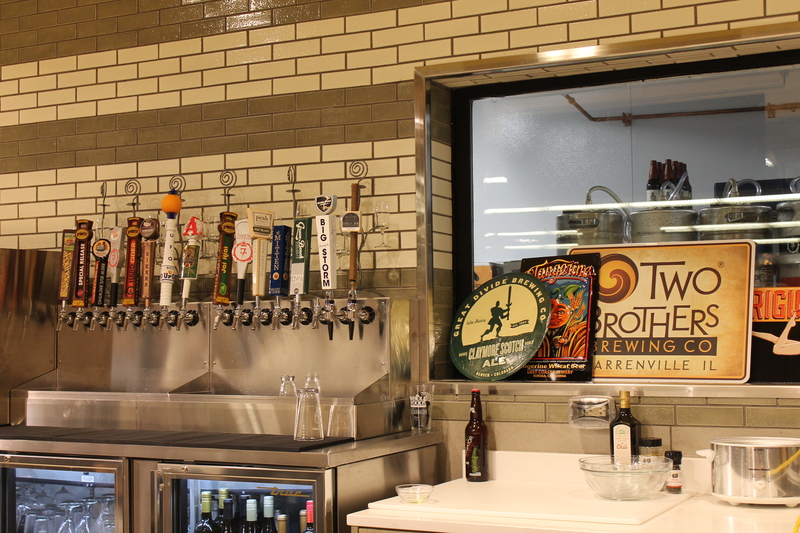 It’s not everyday I see beer taps in a grocery store. This would really make a fun date night with your spouse or a fun girls day out. 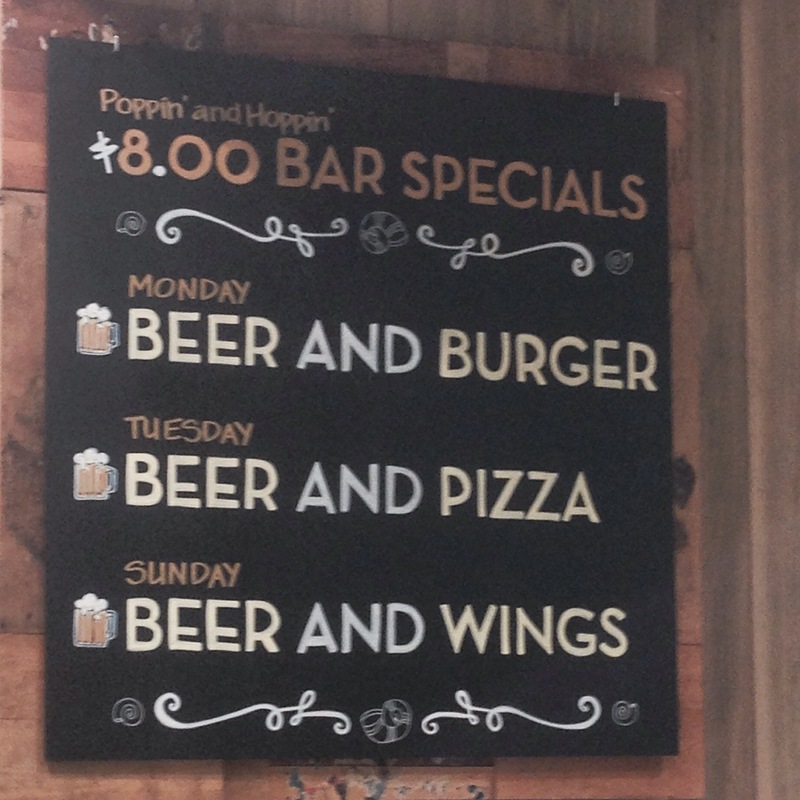 They even have dinner specials during the week. I’m thinking Monday night is my new shopping night. Who’s with me? Interesting fact: All the signs you see in the store are hand painted/created by an in-store artist! Some of the signs are really intricate and creative. 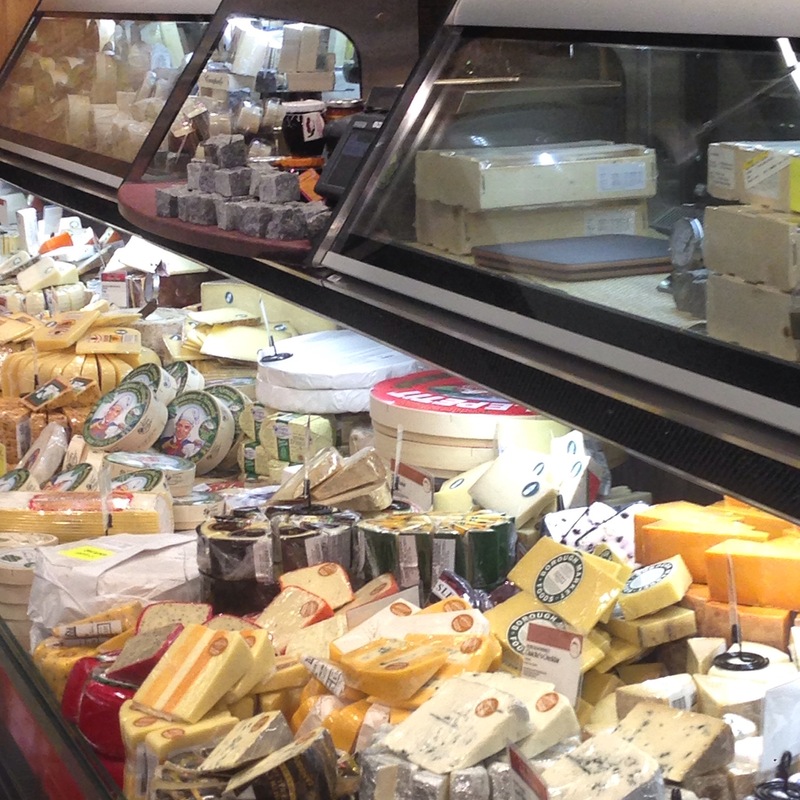 Can I just sleep in the cheese section? On our tour the staff told us that cheese actually makes people happier….now I understand why I crave a little bit of cheese during the day! I have no idea what all the different cheese are but they will let you sample just about all of them if you ask. I promise I didn’t spend all night drooling over the cheese! They eventually dragged us to the next section of the store where I was equally impressed with their yogurt selection! One of my latest battles with my local grocery store is their lack of selection in yogurts. I love Stonyfield yogurts (I’m a brand ambassador) and they regularly send me coupons to test out their latest products. I can NEVER find a variety of Stonyfield at my store so when I say coolers and coolers stocked full of Stonyfield I may have fainted in the aisle! 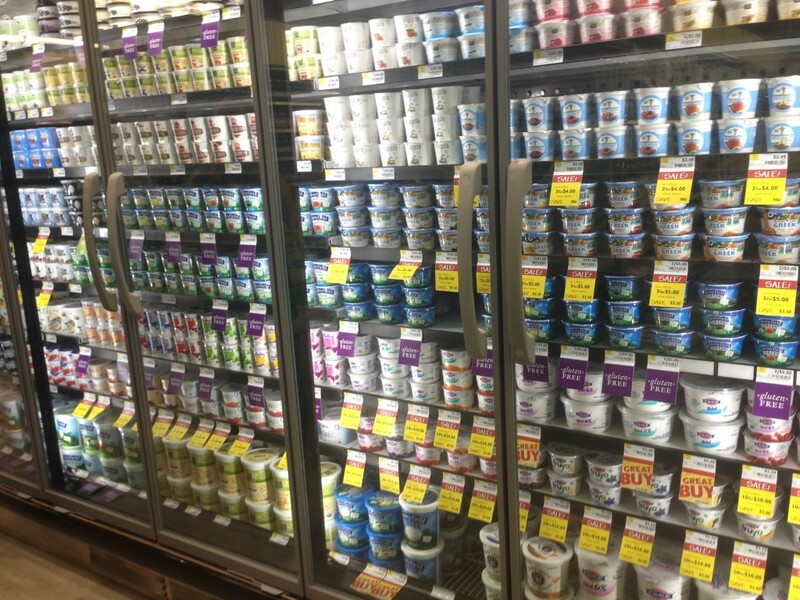 Greek yogurt, smooth & creamy, tubes, pouches, YoBaby, YoToddler, YoKids, you name it…Whole Foods has it! Look really closely at this picture above and you’ll see that they even have cases and cases of other brands of yogurt too if you have a different favorite brand. Pretty picture isn’t it? I was so in awe of all the bulk bins I didn’t take much time to look at what was inside. I know I saw pasta, dried fruits, chocolate, rice, coffee, and SO.MUCH.MORE! You can read all about the benefits of buying in bulk on my post from earlier this year; April was Love Bulk Foods Month. The Seafood & Butcher shop will be super exciting to check out. They didn’t have the meat stocked just yet since they don’t open for a few more days. They have a very rigorous process that farms and fishermen have to comply with to bring us only the safest foods. 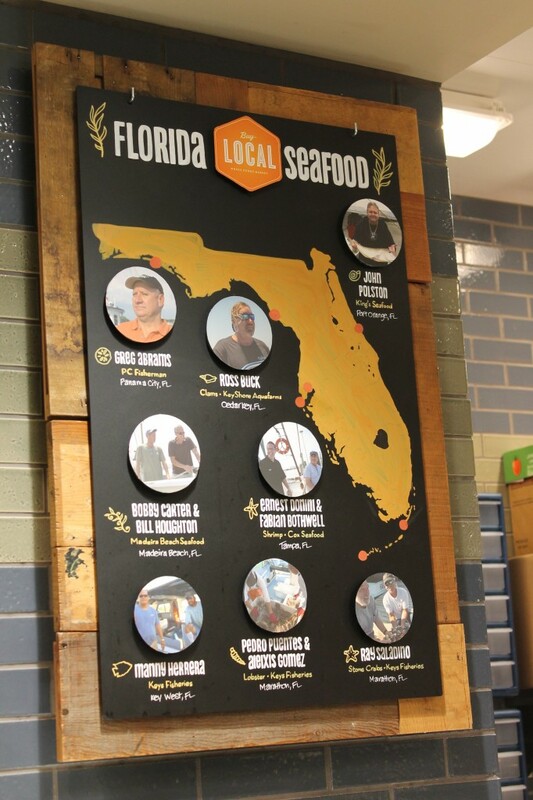 I loved that they have the names of their local fisherman displayed so customers can know exactly where their seafood comes from. Again, notice the small details on the board, all hand drawn by their artist. One of the last places we stopped was actually in the front of the store; the produce section! If this doesn’t get your kids excited about eating their rainbow, I don’t know what will. It makes me want to taste some veggies I’ve never tried before. 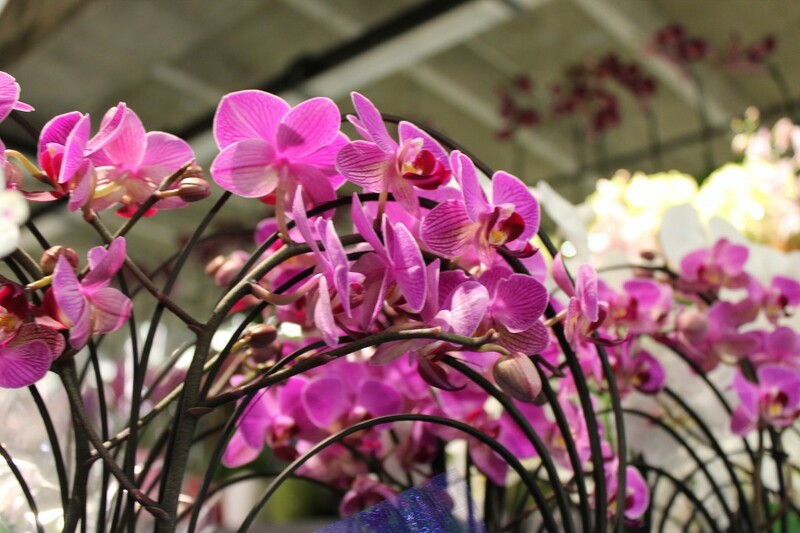 The final stop on our tour was the floral section that was filled with these aromatic orchids. I truly wish I could share with you the smell because it was heavenly. Men, if you’re shopping you really need to pick up a new plant or bouquet for your lady! Nothing says “I love you” like a man who does shopping AND brings you flowers. We didn’t even venture to the center aisles of the store, but Whole Foods does have a health & beauty section, boxed foods, canned foods, kids foods, breads, and more. Jokingly I asked, “What’s the longest anyone has ever spent in a Whole Foods store?” and they couldn’t tell me. I think I could spend an entire day shopping here. October is full with cooking classes, wine tastings, kids club and more. Special thank you to Whole Foods for inviting me to the tour and tasting of the Clearwater store before it opened. They also sent us home with a few small gifts of cheese and chocolate. To learn more about Whole Foods Clearwater you can visit them online, on Twitter, Facebook, and Instagram. To learn more about the local Tampa blogging community, check out Tampa Bay Bloggers who helped organize this event. Stellar review! I seriously agree with it all, Calley. 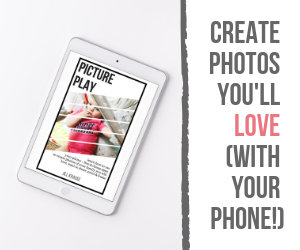 I don’t have kids (yet) but let me tell you, your daycare idea…I mean, that’s pretty genius. I loved everything about last night, and can’t wait to visit (and shop…and eat!) once they officially open. I’m so glad I finally met you in person, last night! Nichole recently posted..Whole Foods Market comes to Clearwater! Nichole it was great meeting you last night! I am so, so excited for tomorrow!